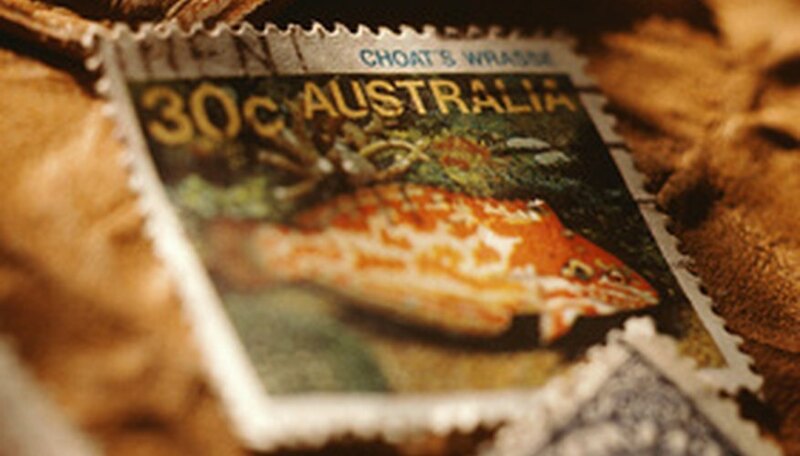 Stamp collecting is a hobby that can be enjoyed by young and old. Collectible stamps are plentiful but not all of them are valuable. When starting a collection, or expanding an existing one, it is important to know how much specific stamps are worth. You can create a collection that is interesting and has lasting value if you familiarize yourself with how to grade stamps, assess their condition, and research the prices. Assess the condition of your piece. Much of the value of a stamp depends on its condition. Things such as tears, creases, soiling or even lack of gum on the back can adversely influence the price of a piece. Learn to assess the condition of a stamp in order to have a better idea of its worth. Stamp grades range from superb to poor or repaired. Study an Internet site such as 2-Clicks Stamps, which explains the many terms used in referring to a stamp's condition. The site also offers a comprehensive guide to the varying grades of stamps. Study guidebooks. Visit a library, bookstore or Amazon.com to look for stamp collecting guidebooks that include information about prices. The newest books will give the most up-to-date pricing. Some examples of these collectors’ guides are “Scott Standard Postage Stamp Catalogue 2011: Countries of the World” by James E. Kloetzel, William A. Jones, Martin J. Frankevicz, and Charles Snee; “The Official Blackbook Price Guide to United States Postage Stamps 2011, 33rd Edition” by Thomas E. Hudgeons Jr.; and “Warman's U.S. Stamps Field Guide: Values & Identification” by Maurice D. Wozniak. Use online resources. Due to the popularity of stamp collecting, there are Internet databases that let you look up a stamp and learn more about it. A website such as Find Your Stamp’s Value offers a searchable database of United States stamps and what they are worth. The site offers a free guest search feature, but to access the most information, you must pay a membership fee. Learn from other collectors. Joining a collectors club will give you access to advice and appraisal help from seasoned stamp enthusiasts. The largest of these organizations is the American Philatelic Society. Membership in this group gives you access to a research library, online educational material, information about stamp collecting conventions, and an expertizing service that will verify, for a fee, the genuineness of your stamps. To find other stamp collecting organizations, consult the list provided at Stamps.net or the directory on the Web site of StampHelp.com. Consult an expert. If you have a large stamp collection and you need to know its value, it is worth the money to hire an appraiser to assess the entire collection. The American Society of Appraisers and the International Society of Appraisers are professional organizations that can put you in touch with a stamp expert in your area. While there are many online appraisal options, an in-person appraisal will give you the most accurate value of your collection.